This orchid stood out amongst the other flowers making a bold statement with its vibrant colors. 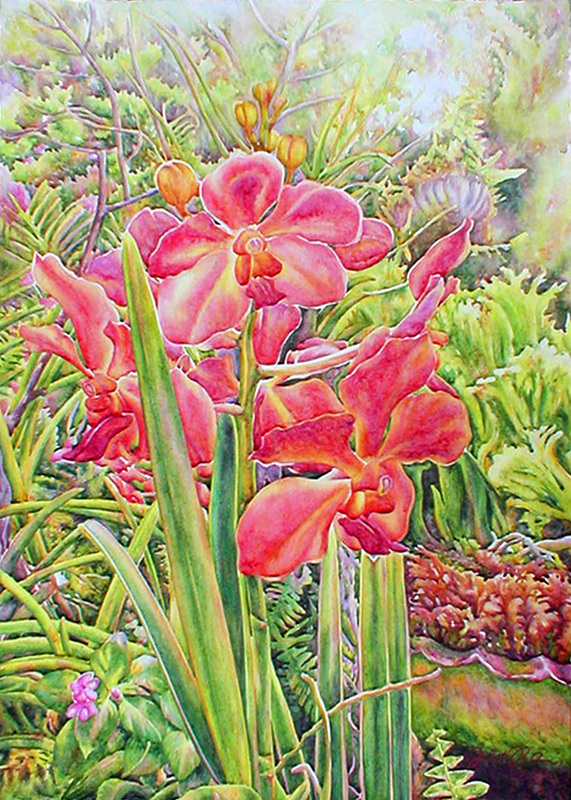 Its strength and beauty were not to be ignored and thus translated through me, into a watercolor painting and prints. This is a limited edition of 250 giclée prints on watercolor paper. The original painting has been sold.